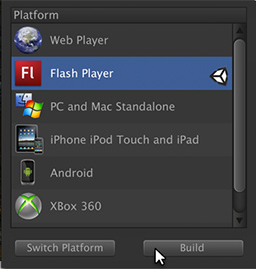 Well good news for Flash developers, Flash CS5 will finally compile to native iPhone and Touch Applications. This is great news for many developers out there who have stuck with the Flash platform. I am sure there will still be limitations to what you can do with Flash on the iPhone and it will probably be mostly 2D games and apps but this is a great start to getting the Flash platform truly mobile and up to the rest of the industry. I have been questioning why they have not moved to this model before when others are doing so such as haXe, Unity3D and MonoTouch. Getting Flash on the web browsers on a mobile is hard because Flash is pretty CPU intensive on embedded devices which is really where computers were in the late 90′s and close to 400-600 MHz processors. Today these machines wouldn’t be able to run Flash very well and that is the same effect you get on a mobile phone. But cross-compiling to native, similar to how Unity 3D does it or other solutions like MonoTouch and XNATouch, this is the best solution until mobile/embedded devices have 1GHz processors and more than 500MB of memory. Adobe is using LLVM, much like the Alchemy model, to achieve getting AS3 content onto an iPhone/Touch with AOT or Ahead of Time compilation rather than JIT compilation. So how do you build an application for the iPhone? It’s simple, really. The forthcoming beta of Adobe Flash Professional CS5 incorporates the ability to create an iPhone application. You have access to nearly all the AIR 2.0 and Flash Player 10.1 APIs. For example, you can use APIs such as RTMP, Remote Shared Objects, and AMF as well as AIR APIs like SQLite and filesystem access. For more information see the developer FAQ on Adobe Labs. I am glad to see Adobe finally moving on mobile platforms beyond Flashlite. Flashlite is a poor solution in most cases on embedded devices because they really need native apps to perform, again due to the hardware limitations and it is a whole new platform to learn. Adobe is doing the hard work to make it easy to get developers content on the new embedded devices that are storming the world such as the iPhone and Touch. Director 11.5 was quietly released last week at GDC with a few nice upgrades. The sound library is updated to Dolby surround 5.1. Director 11 now supports ByteArray and binary data handling. It also states support for Flash 9 swfs. Previously Director 11 did not work well/atall with AS3/Flash 9 swfs which made it nearly useless. I still think Director is on decline unless they open up the development platform, lose Lingo and allow a real IDE to develop with. So frustrating being restrained to that IDE that is not very flexible and cumbersome to extend and code in when you compare it with cutting edge IDEs like Unity3D or open source flash IDEs like FlashDevelop. It has been completely removed from our workflow for some time due to new Flash 2.5D engines such as papervision 3d, away 3d and sandy or for more immersive hardware rendered 3d, unity3d.